One of the biggest growth areas for web content in the last year or so has been video. Web content video production has, therefore, become one of the top services that Videod offer as businesses seek to have those benefits from video content along with professionally produced, quality video productions. The statistics show why video is so popular – video on landing pages can increase conversions by up to 80%, 64% of users are more likely to buy a product having watched a video about it and even including video in email can increase click-throughs by 200%. In fact, 96% of B2B organisations are already using video in some capacity and 87% of online marketers make use of the format. This means that there is an increasing amount of video content available for people to see so how do you ensure that yours is the one they look at? The answer is simple – creating top quality, professional video content with clear marketing goals behind it and a strategy on how to distribute it. Here at Videod, this is what we offer – a comprehensive service that incorporates everything from filming the video to editing and even the use of in-house marketers to get the most from it. 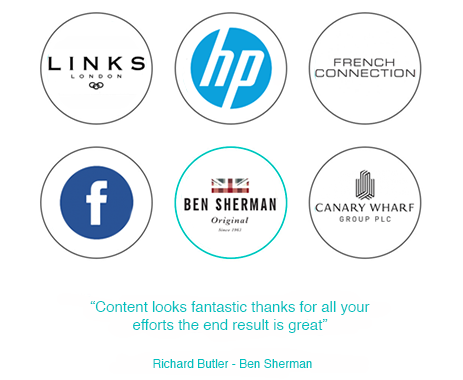 Regardless of what industry you are in, we can help you assess what would work best, what highlights the required area, service or product your company offers and how best to approach the content. We can formulate a plan that ensures you aren’t simply making video content for the sake of it and that everything we produce with you has clear goals and strategies to achieve them. This will make investing in video a worthwhile enterprise for your business and ensure that you get the best possible return on your investment. To discuss web content video production further, simply give us a call or use the contact form to arrange an appointment to chat. There’s no doubting the power of video to advertise your business, its products or services. But using quality web content video production is the best way to not only join the trend but ensure that your video stands out from those of your competitors and gives you that crucial edge. Videod has worked with companies around the world to produce video content for the widest possible goals. It might be that your business wants to increase traffic to a website in order to create more leads or sell more products. Perhaps you want to grow a social media following or start a YouTube channel. Maybe even you need content to promote an event, for training or conferences or even as part of a recruitment drive. Whatever the aim, we can help you get the content you need. Once you contact us to say you require web content video production services, then we can start to assess what those goals are and how what we do can fit in with them. Creating the right video content for your business can involve filming on location, at your premises or at an event you are holding. All of these elements can be discussed when we make the booking to ensure that we outline exactly what you need. Another popular option for web video content is to showcase a product that you offer and how it works. Again, this might mean visiting your business location or working at a venue, even an outdoor location. We can see how your product works and what would be the best way to showcase at the planning stage. We can create video content in varying lengths to suit your needs. Typically, short video content works well on social media sites such as Facebook while longer pieces can be great for YouTube and to embed on your website. All this can be discussed at the planning stage. Planning web video content production is the first step of the process that we follow when you make a booking with Videod. The point of the planning stage is to ensure everything is agreed upon and that we have a clear picture of what content is to be created and what aims you have with this content. 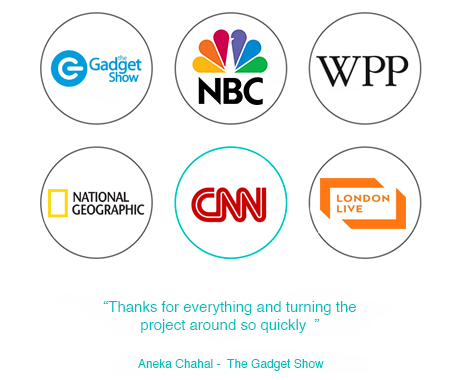 We have worked with global companies and new start-ups to create useful, exciting and interesting content for their products, services or company and we can do the same for your business. Some of our customers come to us with a clear idea about what they require but others are a little uncertain. They know that video is a great way to connect with potential customers or leads but are a little uncertain what kind of video content would be best for their business. We are happy to discuss ideas and brainstorm what would be the best video for your business or simply to put a plan into place for the ideas that you already have. At the planning stage, we will discuss all elements of creating the video. This is often surrounding the location or where we are shooting the video content. This might be that the business premises or at a venue such as a hotel or community centre where the space can be adapted for purpose. It might even an outdoor location to create the ambience required or to demonstrate a product that you offer. Once we have laid out the nature of the video and the goals to achieve with it as well as the location for the shoot, we can also establish the length and style of the product. This often works around where you will showcase the content such as on social media and allows us to fully prepare equipment and processes before filming begins. Once we have a plan for your web content video production, we can then move to the actual filming process. This is where we collect the raw footage that will be transformed into the video content you require in the production phase of the process. Filming is about collecting more footage than we need in order to allow our production team to work their magic on the final video content. With filming, we use the very latest in technology to ensure that everything we record is both to the highest standards and also easily adaptable to different formats such as to embed on a website or add to Facebook. We have a range of equipment including lighting and sound that means we can bring whatever is needed to the filming to get the desired result. We can also shoot in outdoor locations to get the right kind of footage or if you want to showcase a product and an outdoor shoot is the best option. We often visit the location for filming beforehand to establish where equipment will be located and anything extra we need to bring with us on the day of the shoot. We can also arrange any people that we need to interview for the content as well as anyone involved in showing the products that we might be featuring in the video. You may also want to include interviews from previous customers to help validate the service or product that you offer and build social proof. This means that we can arrive at the shoot on the day and everything is already arranged. Once the filming part of the process is complete, we can then move to the production side of things. This can also involve assistance in marketing the content if required from our in-house marketing team. When you book a web content video production with Videod, we have a process we follow with every customer that ensures you get the best possible product at the end of the process. We start with planning and then move to filming. The third, and most crucial, step is the production department. Our qualified and experienced staff are experts in taking raw footage to make a finished piece that fulfils your needs. Once we have filmed this footage, we can begin working it into the format you require. Often, we can do a quick turnaround edit to allow you to have a look at the basic formatted content and see if it is what you are seeking. Once you are happy with this first edit, we can finish the process to ensure everything is perfect – length, lighting, composition and formatting. You will then be able to view the finished product through our private channel where you can see the finished product. After you have confirmed this is what you want, then you can easily download the content from the channel. Once downloaded, there are plenty of options for what you want to do with the content we have created. You can easily embed it on your website on a dedicated landing page for a product or even on a homepage. You can also use the web content on social media to promote your business, product or service. The business may have a YouTube channel or want to start one and this new content is a perfect base for this. Simply adding the content around the internet is one thing but there should also be a clear marketing strategy involved with the process. If you don’t have marketing experts in-house or want to use a different perspective for this content, then you can use our marketing team to help. Having web content video production is one thing but making the most of that content in different places across the internet is another and that’s why working with Videod can also involve marketing expertise to help you make the most of your video. Our in-house marketing experts can help with any aspect of distributing your video and ensuring that the business receives the most benefits from it. For example, if you are showcasing a new product, then having it on a dedicated landing page on your website can be a great way to generate interest in the product for a launch. Using the right SEO techniques (search engine optimisation) is important to ensure people find the content and therefore can sign up to register their interest. Perhaps the aim of the video is to increase brand awareness and your social media presence. Then again, a marketing strategy is important for this. Simply adding a video to Facebook and leaving it won’t get you the best return on investment for that content – instead you want to be regularly sharing it, using other social media sites and even sending it in email newsletters to get the best results. A YouTube channel is a great base for all the company’s video content and it is easy to add this new production to the channel. We can help to ensure it is optimised so that people viewing from smartphones and tablets receive the same level of experience as people viewing from desktops. Perhaps you are uncertain quite how to market the content – then we can help you assess the options and align a strategy with your overall goals. This means that the video content will do what you need it to be based on a series of clear goals and aims and with a set strategy in place. The aim of our booking process when you are searching for web content video production is that you are completely clear and confident in the service that you have booked. We offer a range of ready-made packages that you can choose from and we can also design a customised package that offers exactly what you need. Whatever you opt for, we want you to be completely clear on prices and services so you have a positive experience with Videod. There are lots of ways to start the booking process including over the phone, via email and using Skype. Then we can chat with you about what you need, your goals for the video content and what you want to feature in it. We can discuss locations and additional equipment required such as lighting or sound equipment. And we can see if you need a single shoot or if you need us to collect footage from a series of days of a conference or event to create the finished content. As part of our booking process, you will be allocated a dedicated account manager for the process. They will be your point of contact for the whole process, making the arrangements required and helping you formulate the plan for the shoot. They can organise access to our marketing team to help market the content and also to ensure that you have the right formatting for the videos depending on its purpose. Your account manager will also let you know about the legal side of things such as cancellation charges and your rights that apply. This ensures you always understand everything about your commitment and what we will do for you. Should you need to change anything, you should also contact your account manager at the earliest time to make these amendments.